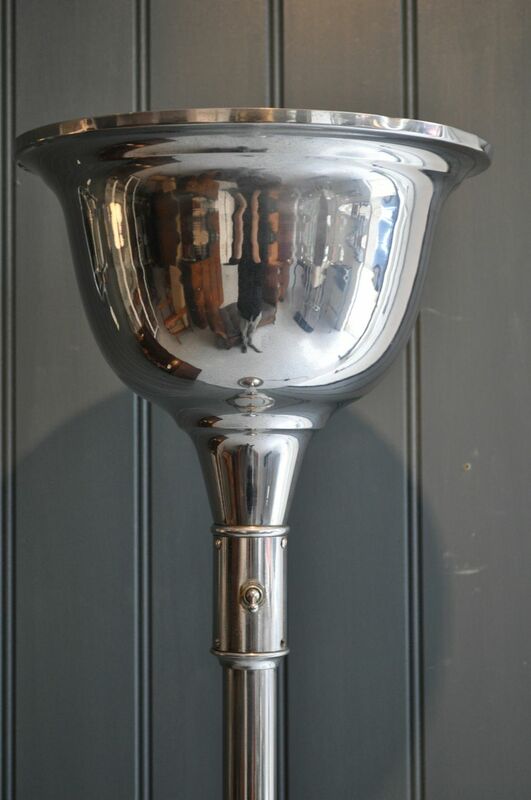 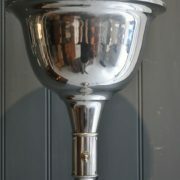 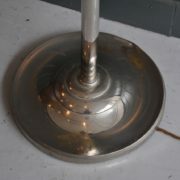 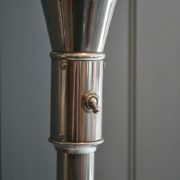 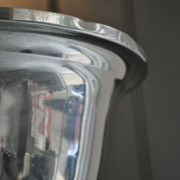 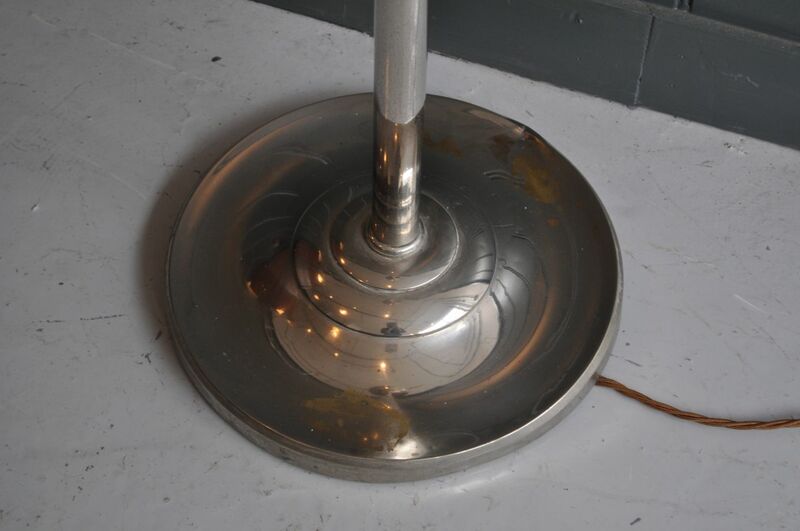 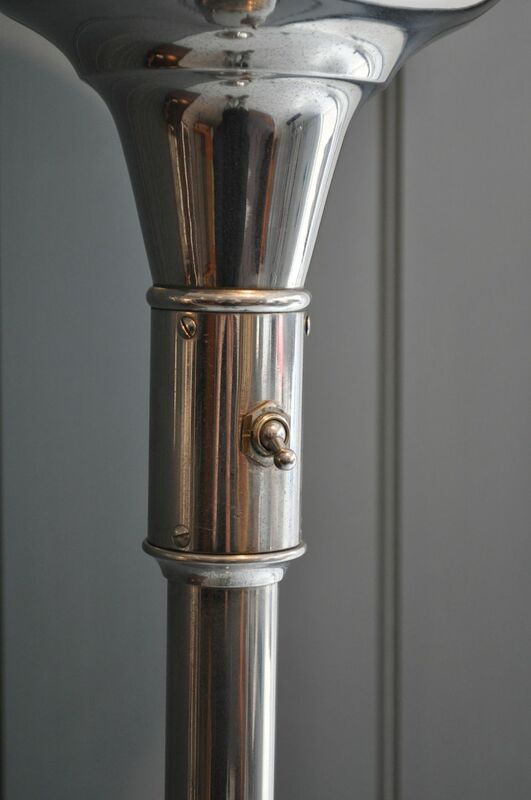 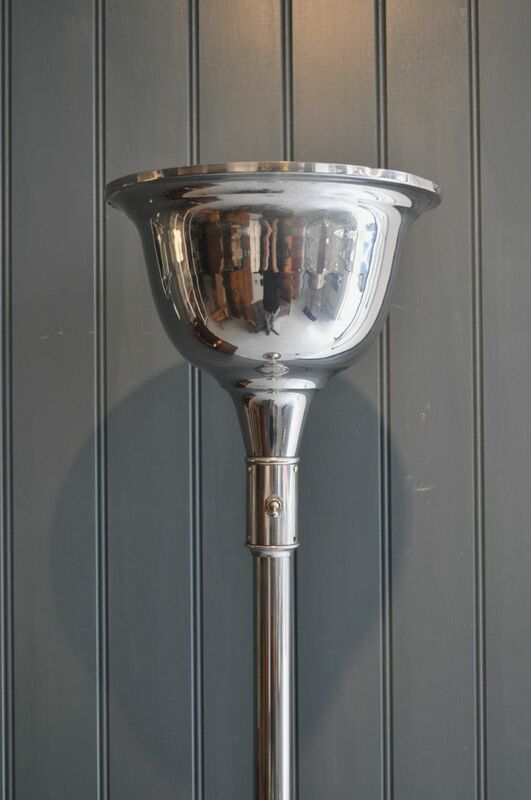 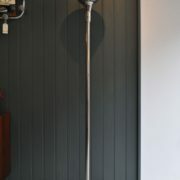 Stylish Deco chrome uplighter. 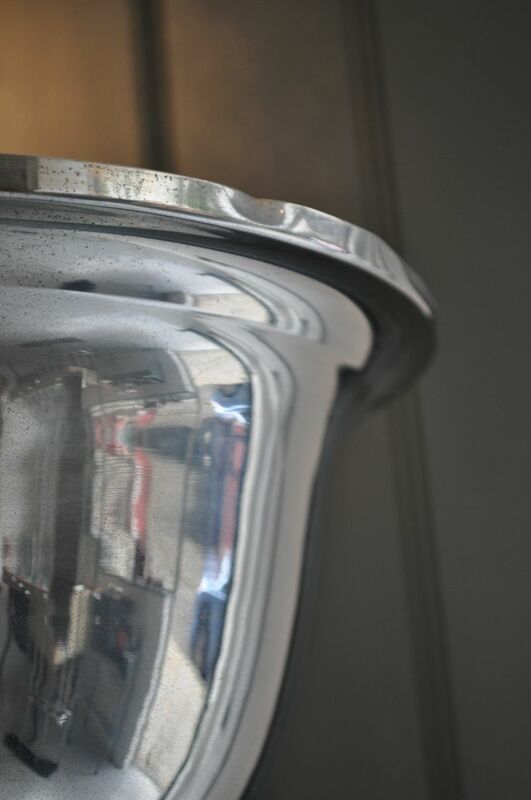 Minor ding to perimeter of shade and base, and some loss of plating to base in keeping with age. 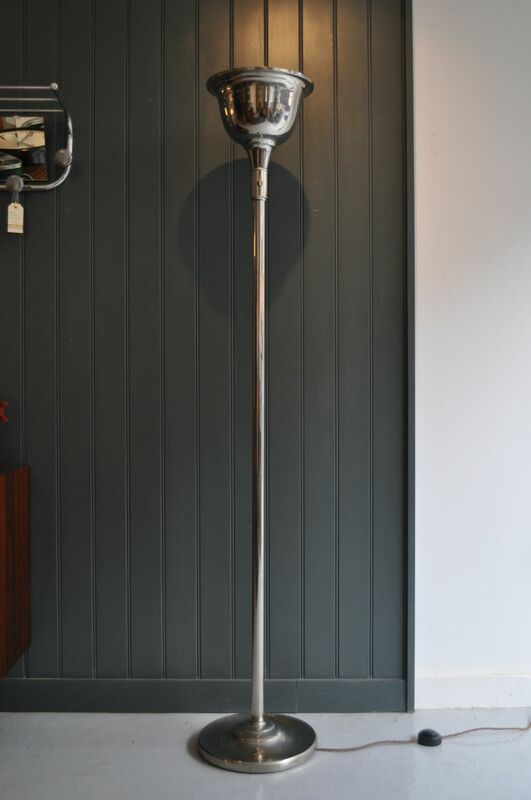 Beautiful simple form, and newly rewired with gold braided flex, and black in-line foot switch and plug.